Verkada is pleased to launch Heatmaps and Bounding Boxes as part of the Command platform. With these features, your Verkada security camera becomes a sensor that can plot the location and duration of people and vehicles in a frame. With the Heatmaps feature, Verkada users can visualize how people or vehicles are moving around their space over a configurable time period. Go to Command, and scroll down to the history timeline of any specific camera. Select the time period you would like to use (20 secs to 4 hours) . Click on the "Heatmaps" button . 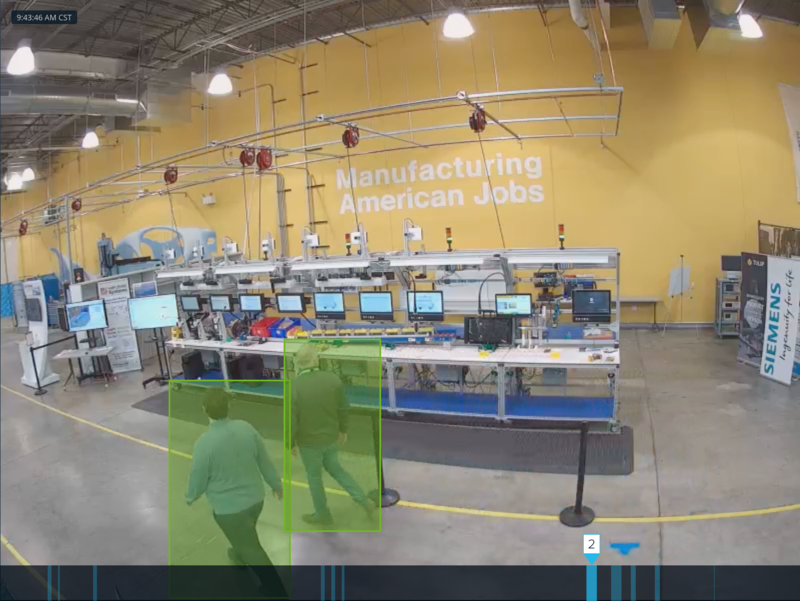 We decided to expose how our computer vision algorithm is processing video streams to detect people, vehicles and other objects to our users. Bounding Boxes do not need to be enabled. They are viewable by default in History Player.